Being here in existence, it is natural for all of us to have emotions. Perhaps not all emotions are as welcomed as others. But nonetheless, they are there whether you welcome them or not. The interesting thing is that not all of the emotions are authentic and true. A lot of our emotions are self-inflicted, which means that they do not necessarily come naturally. But there are those that we consciously or mostly unconsciously create. And in such a way, we manifest certain feelings in ourselves which were not there to begin with without our participation in making them occur. What is natural to us is very simple and feels very easy too. Unnatural emotions carry weight with it and it is very much entangled with our associations and such. However, natural emotions come as easy as they go. But if we create unnecessary attachment to it, they eventually end up as a self-inflicted emotion. do not come naturally. But they are very natural to our mind activity. They come with weight and do not leave very simply, cause a lot of unnecessary troubles or drama in our lives. We can avoid these type of emotions and have a much more easy, happy life immediately if we learn how to differentiate emotions. For the ones which are natural, we do not need to care about them too much because they are just visiting for a short time and it is very human to sometimes feel various emotions. We should not try to stop them from coming. The only thing we should do is to simply recognize that this emotion had come for a short time, but we do not need to identify with it. Simply observe it occurring in you, and find out Who is the One having it? Observe it, and see, does the observer gets affected by it? On the other hand, there is something different and more subtle with self-inflicted ones, because these come almost unrecognised. You must pay close attention to your own mind chatter. Mind has all kinds of ways to incur various feelings in you if you let yourself become affected by it. One should never take mind too seriously, knowing that it can not be fully trusted as long as there is strong identification is with it. Let it talk, but remain true to your Self, as your really Are. Pay full attention to the Self, not the mind. In such way, without strong identification with mind, the common self-inflicted emotions like shame, guilt, nostalgia, and other similar ones can be easily detected in your attention field. But you are to simply see it and that is all. Do not put yourself in a role to play as the one having them. Who is seeing all of this? Honest questioning of yourself will bring success to this. 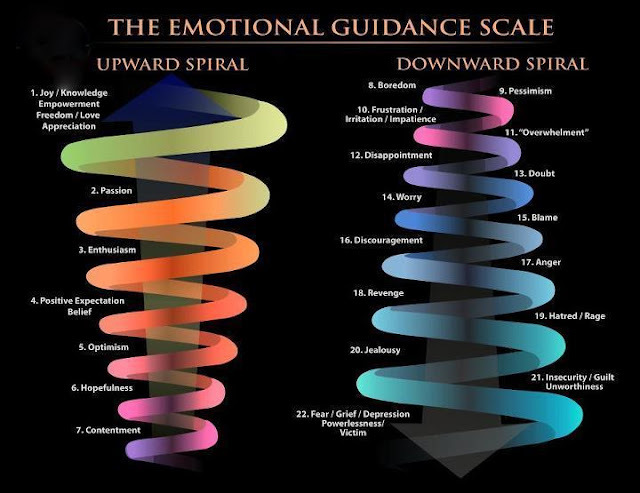 If you still have some troubles with differentiating emotions, please feel free to talk to me and I will be happy to help you walk through the process of self-discovery. these are some great self-inquiry questions!